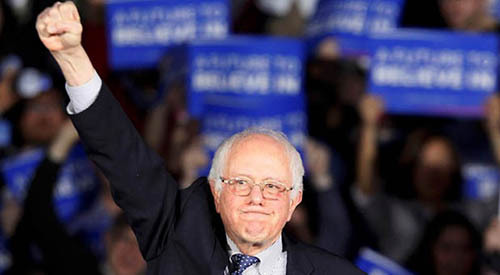 The Iowa caucus results last night were a major victory for Bernie Sanders, who “virtually tied” Hillary Clinton and won nearly as many delegates in the hotly contested start of the primaries. Bernie's autobiography Outsider in the White House (now 50% off on our site) charts his political career from his time as the mayor of Burlington to congressman to US senator, and includes a substantial afterword from The Nation's John Nichols. Below is the preface to the new edition, written by Bernie Sanders in September 2015, which explains his decision to run for president and calls on people to come together and demand that the government work for all Americans and not the corporate elite. When people say I am too serious, I take it as a compliment. I have always understood politics as a serious endeavor, involving the fates of nations, ideals and human beings who cannot afford to be pawns in a game. I suppose this understanding makes me an outsider in contemporary American politics. But if I am more serious about politics than those candidates who jet from one high-donor fundraiser to the next, or from a Koch Brothers–sponsored summit to the Sheldon Adelson “primary,” I do not think I am more serious than the American people. The American people want political campaigns to be about candidates’ stands on the issues, not about fundraising, polls, or the negative ads that overwhelm honest debate. Elections should be influenced by grassroots movements and unexpected coalitions, not by the cult of personality or a billionaire’s checkbook. From the time I began to get involved in politics, as a student organizing for civil rights on the University of Chicago campus, as a peace activist in the Vietnam War era, as supporter of labor unions and peoples’ struggles, what offended me most about electoral politics was the pettiness. It seemed that the media and political parties were encouraging voters to make decisions of enormous consequence on the basis of whether a candidate had a bright smile or delivered a zinger belittling another candidate—not on the basis of ideas or philosophy, let alone idealism. I never wanted to be a part of such a soulless politics. And across my years of campaigning for causes and for elective office, I think I have done a pretty good job of avoiding it. The first edition of this book, originally titled Outsider in the House, was written two decades ago, after I had been elected to the U.S. House of Representatives from Vermont but long before I ever imagined I would campaign for the presidency. It tells the story of how we built an independent progressive politics in one city and then in one state. 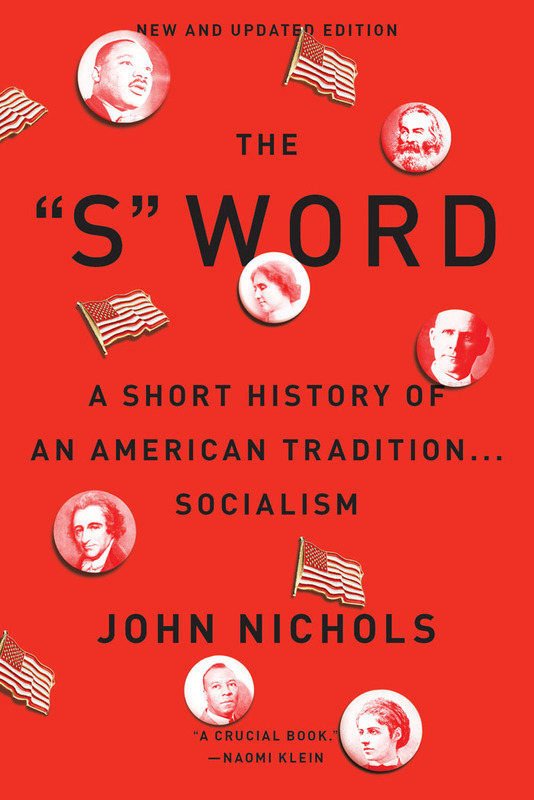 It is the story of an insurgency that won first the mayoralty of Burlington, Vermont’s largest city, and then a statewide congressional seat. More importantly, it is the story of how we used the authority that extended from those victories to make changes for the better in the lives of people who don’t have many allies in positions of power. The working people of Vermont are the real heroes of this book because they stuck with the fight for economic and social justice long after the media and the political elites expected them to give up. They did not merely keep at it; they drew their friends and neighbors into the process—increasing election turnout at a point when it was declining in much of the rest of the country. I always say that our greatest accomplishment in Burlington was not our initial victory in the mayoral race of 1981—although that was a sweet victory. Our greatest accomplishments were the victories that came in the elections that followed, when increased voter turnout, especially from low- income people and young people, allowed us to beat back the combined efforts of economic and political elites to stop us. We did not overwhelm our opponents with money, we overwhelmed them with votes—like it’s supposed to work in a democracy. When I reread Outsider in the House recently, I was reminded of the extent to which this is a story of struggle. It is not the story of easy or steady success. It is the story of hard work, a little progress in the right direction and then a setback, of election defeats and election wins, and of breakthroughs that few of us had imagined possible—until they happened. A politics of struggle is rooted in values and vision, and above all trust. It involves a contract a candidate makes with the people who share the values, who embrace the vision. It doesn’t say, “Vote for me and I’ll fix everything.” It says, “If I get elected, I will not just work for you, I will work with you.” The work may mean implementing a program at the local level or sponsoring legislation at the federal level, but what matters most is the connection that is made between people and their elected representatives—the connection that says there is someone on the inside who is going to fight for the citizens outside the halls of power. When citizens recognize that this fight is being waged, they are energized. They make bigger demands. They build stronger movements. They forge a politics that is about more than winning an election; they forge a politics that is about trans- forming a city, a state, a nation, and maybe the world. I embraced this politics of struggle as a young activist on behalf of racial justice. I got involved in electoral politics because I believed that movement activism on behalf of civil rights and women’s rights and labor rights and environmental protection and peace needed to be reflected on our ballots and in the corridors of power. I started slow, losing and learning. Eventually, with the help of friends and allies whose loyalty and commitment meant everything to me and everything to our shared success, we started winning. We did not just win elections, we won the transformational progress that only comes when political activism is focused on more than the next election. My decision to run for the presidency in 2016 was inspired by the events outlined in the original text of Outsider in the House and by experiences that came after its publication in 1997—in the U.S. House and U.S. Senate, and more importantly on picket lines, in marches, and at town hall meetings and rallies against economic inequality, or protesting the impover- ishment of workers and communities by failed trade policies, or denouncing the neglect of the basic dignity and humanity of immigrants, or against unnecessary wars, racial injustice and environmental catastrophe. The two decades since this book was published have not been easy for Americans. The gap between rich and poor has extended beyond the breaking point of civil society and sound economics. Instead of addressing poverty, politicians of both parties have criminalized it and accepted incarceration rates that are obscene and racist; the devastating effects of climate change have been ignored; we have accepted a warped sense of priorities that says America can always find enough money for war but that there is never enough for infrastructure or education or nutrition programs. Our democracy has been rendered very nearly dysfunctional by Supreme Court rulings that make it easier for billionaires and corporations to buy elections and harder for people of color and students to vote in them. The United States is degenerating into a plutocracy as democracy is overwhelmed by money and negative ads and the collapse of serious journalism. When I announced I was going to run for president, I said it would take a political revolution for a democratic socialist from Vermont to win the presidency. A lot of pundits thought that was an acknowledgment of impossibility. It wasn’t. It was a statement of what would be necessary to undo the damage that has been done and to reclaim our country from the oligarchs. The pundits and the political consultants still have a hard time understanding this. But the people get it. They are turning out by the thousands, by the tens of thousands, for our rallies. They are sending contributions of $5 or $10 because they understand that if we all give what we can then we might yet be able to beat the billionaire class. I am as serious as they say I am. I have no taste for symbolic campaigns. I decided to run for president because I believed it was necessary to do so, because I believed this campaign could bring about a political revolution, and I believed we could win. We did it in Burlington. We did it in Vermont. And we are doing it in America. Change comes, even in the face of over- whelming odds. And the recognition of the changes we have already made, of what we have won, inspires us to fight even harder. When I began to write the story of my political journey, I accepted the designation “outsider.” I have stood outside the mainstream of American politics. I have rejected the status quo. I have cast some lonely votes, fought some lonely fights, mounted some lonely campaigns. But I do not feel lonely now. There are a lot of us outsiders, and we are organizing for a $15 minimum wage, for job programs that address structural unemployment, for single-payer health care, for free college education, for the renewal of our cities, for the reconstruction of our infrastructure and the creation of millions of jobs, for just and humane reform of a broken and racist criminal justice system, for comprehensive immigration reform and a path to citizenship. The majority of Americans today are outsiders, especially in the halls of power where decisions about our economy are being made. And we will remain outsiders for as long as the political balance is tipped against the great mass of Americans, for as long as the status quo is characterized by inequality and injustice. It will take all the energy of the new movements of this new time to make the change that is needed. These movements began on the outside, but even now they are beginning to be heard on the inside—changing our politics, changing our laws, changing America. Cities and states are raising wages. They are beginning to address racial disparities in policing practices and the policies that lead to mass incarceration. They are demanding a constitutional amendment that will overturn Citizens United and restore free and fair elections. Something is happening in America, something that feels like a political revolution. I have been an outsider in the House. I have been an outsider in the Senate. Now I am a candidate for the presidency. I believe that this political revolution might just put an outsider in the White House and that, together, we can remake our politics and our governance so that none of us are outsiders anymore. I believe we can be serious and optimistic. I believe we can recognize the overwhelming odds against us and forge coalitions that overcome the odds. The point of beginning is not a political strategy. It is a shared sense of necessity, an understanding that we must act. I believe that Americans, battered by job losses and wage stagnation, angered by inequality and injustice, have come to this understanding. I hear Americans saying loudly and clearly: enough is enough. This great nation and its government belong to all of the people, and not solely to a handful of billionaires, their super PACs, and their lobbyists. We live in the wealthiest nation in the history of the world, but that reality means little because almost all of that wealth is controlled by a tiny handful of individuals. There is something profoundly wrong when the top one-tenth of 1 percent owns almost as much as the bottom 90 percent, and when 99 percent of all new income goes to the top 1 percent. There is something profoundly wrong when one family owns more wealth than the bottom 130 million Americans. This type of immoral, unsustain- able economy is not what America is supposed to be about. This has got to change, and together we will change it. When we declare, “Enough is enough,” we are demanding a country and a future that meets the needs of the vast majority of Americans: a country and a future where it is hard to buy elections and easy to vote in them; a country and a future where tax dollars are invested in jobs and infrastructure instead of jails and incarceration; a country and a future where we have the best- educated workforce and the widest range of opportunities for every child and every adult; a country and a future where we take the steps necessary to ending systemic racism; a country and a future where we assure once and for all that no one who works forty hours a week will live in poverty. Now is not the time to think small. We cannot settle for the same old establishment politics and stale inside-the-beltway ideas. We cannot let the billionaire class use its money and its media spin to divide us. Now is the time for millions of working families—black and white, Latino and Native American, gay and straight—to come together, to revitalize American democracy, to end the collapse of the American middle class, and to make certain that our children and grandchildren are able to enjoy a quality of life that brings them health, prosperity, security and joy—and that once again makes the United States the leader in the world in the fight for economic and social justice, for environmental sanity and for a world of peace. Now is the time for us to make America the country that the vast majority of our people want it to be. It will take a political revolution to make the change. But I have learned from the experiences recounted in this book that political revolutions are possible. They are not made by billionaires or political insiders. They are made by workers whose jobs are threatened, by students who are overwhelmed by debt, by retirees on fixed incomes, by outsiders who recognize that enough is enough— and who recognize that they must organize and campaign and vote for something better. When we stand together there is nothing, nothing, nothing we cannot accomplish. 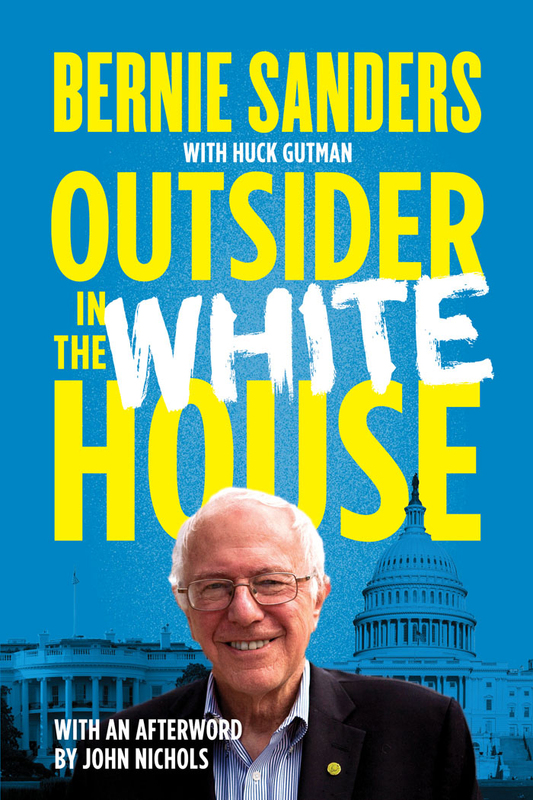 Outsider in the White House by Bernie Sanders with an afterword by John Nichols is available now for 50% off.